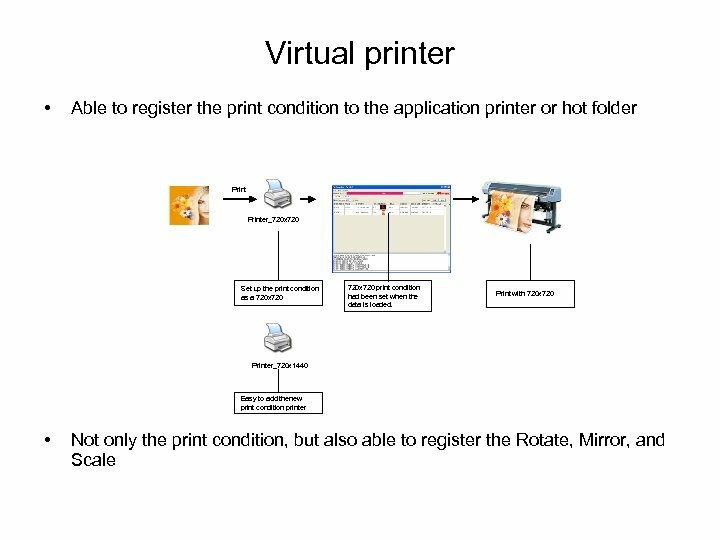 Presentation / introduction of VERSION 3. 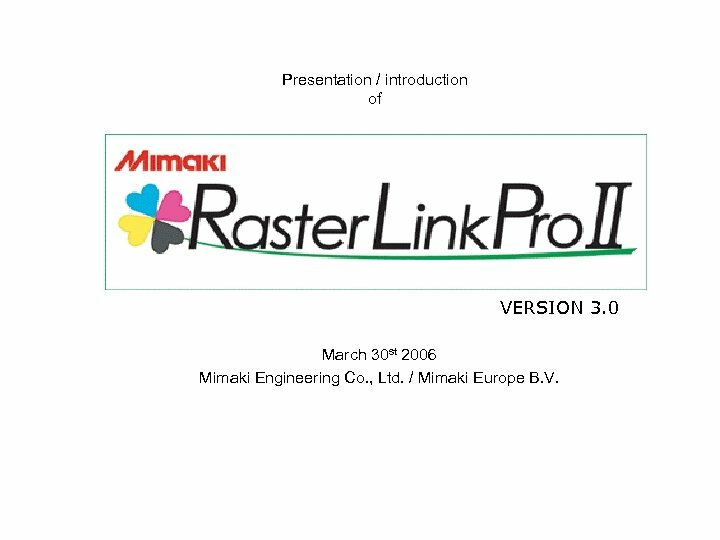 0 March 30 st 2006 Mimaki Engineering Co. , Ltd. / Mimaki Europe B. V.
Multiple Printer Detail: Additional Printer Support All the Mimaki printers are supported. 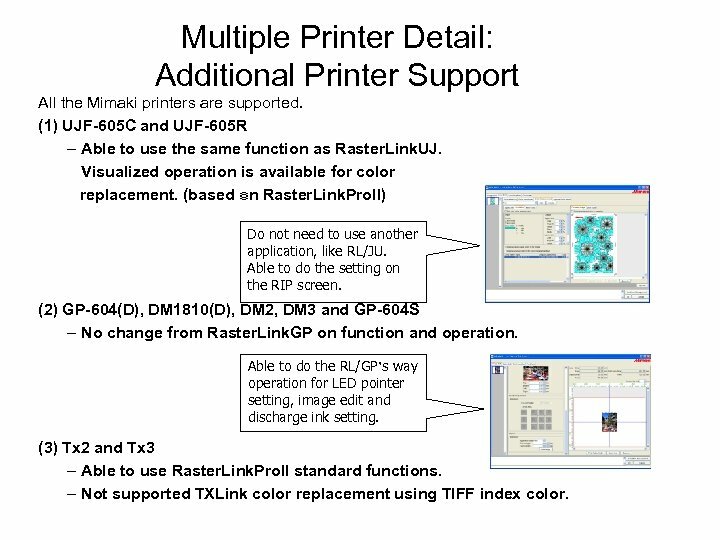 (1) UJF-605 C and UJF-605 R – Able to use the same function as Raster. Link. UJ. 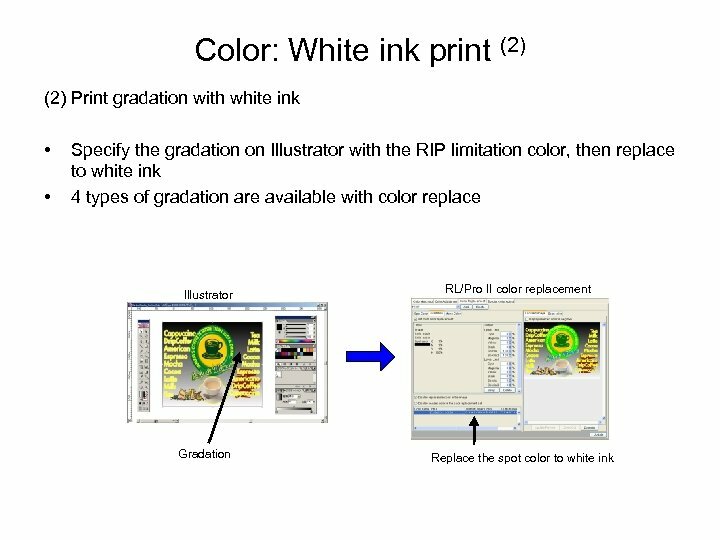 Visualized operation is available for color replacement. 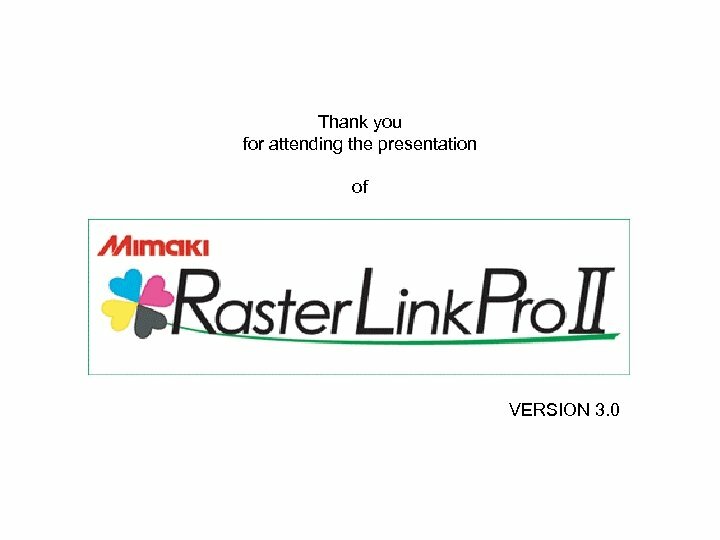 (based on Raster. Link. Pro. 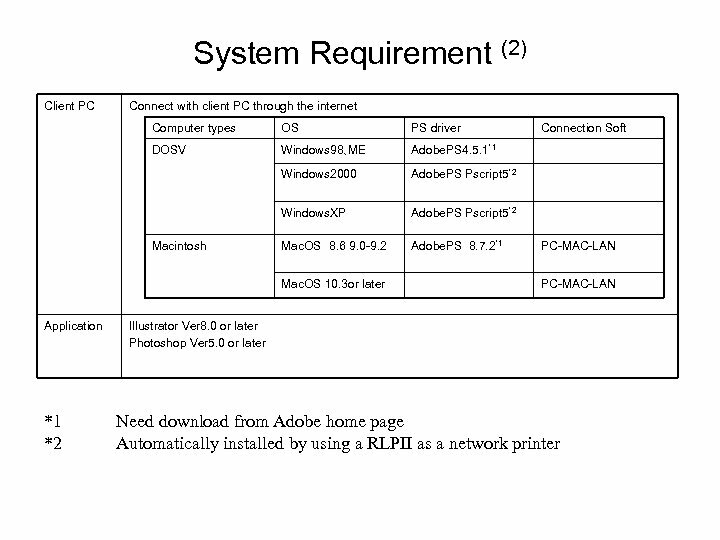 II) Do not need to use another application, like RL/JU. 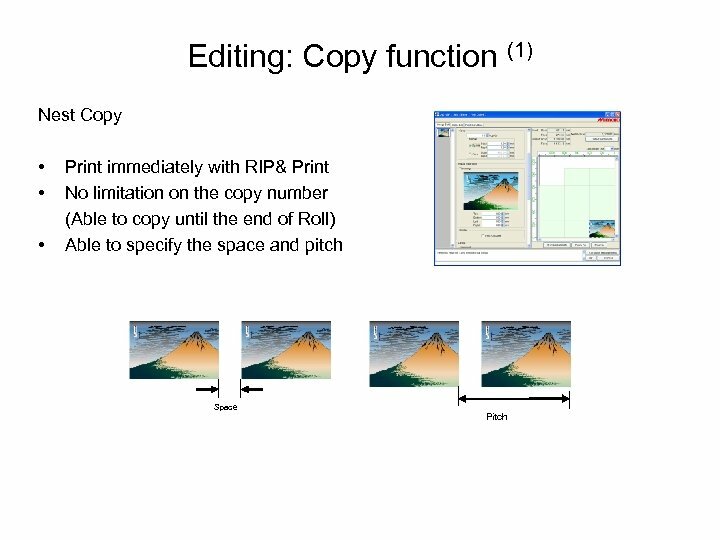 Able to do the setting on the RIP screen. 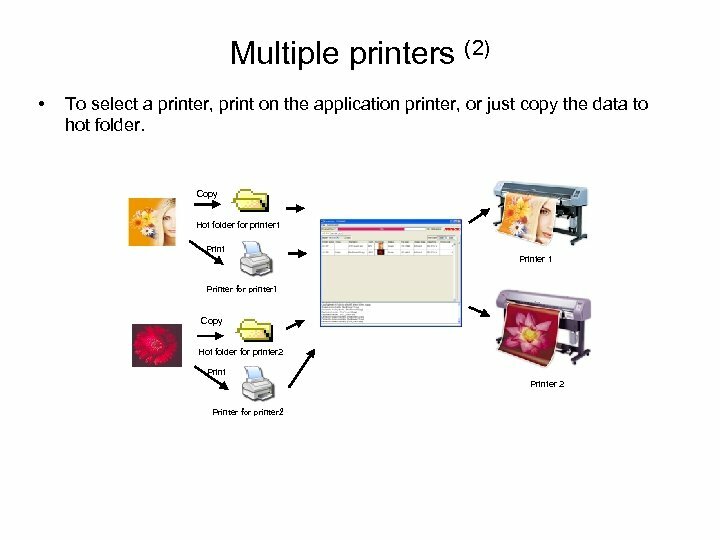 (2) GP-604(D), DM 1810(D), DM 2, DM 3 and GP-604 S – No change from Raster. Link. 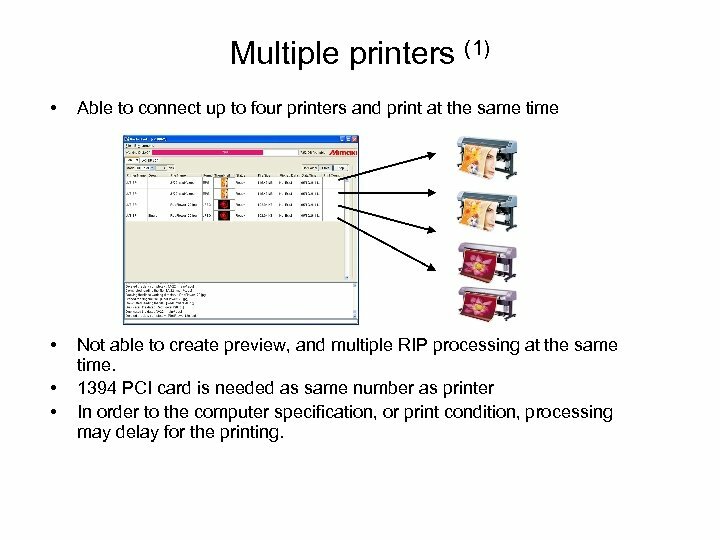 GP on function and operation. 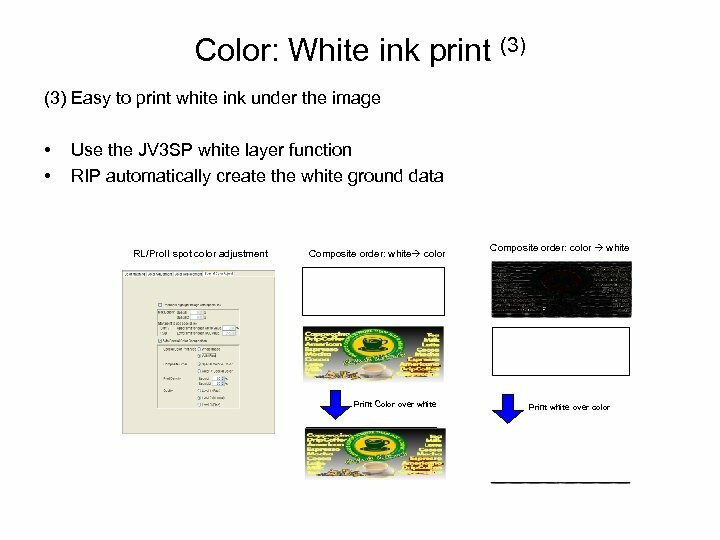 Able to do the RL/GP’s way operation for LED pointer setting, image edit and discharge ink setting. 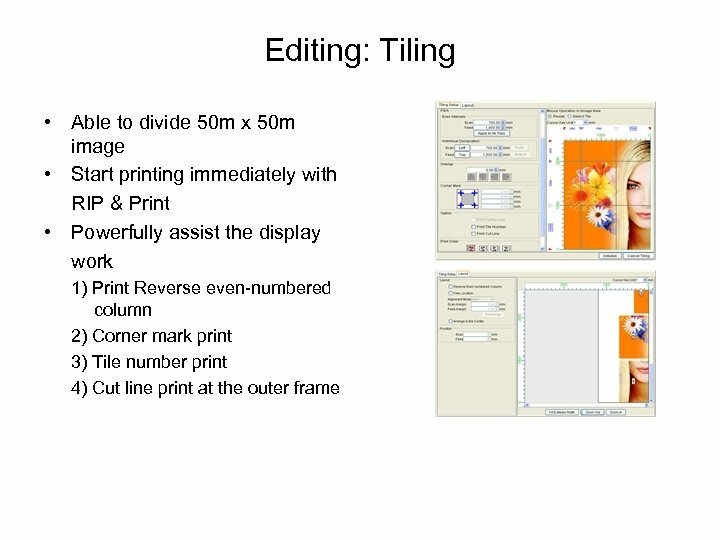 (3) Tx 2 and Tx 3 – Able to use Raster. Link. Pro. 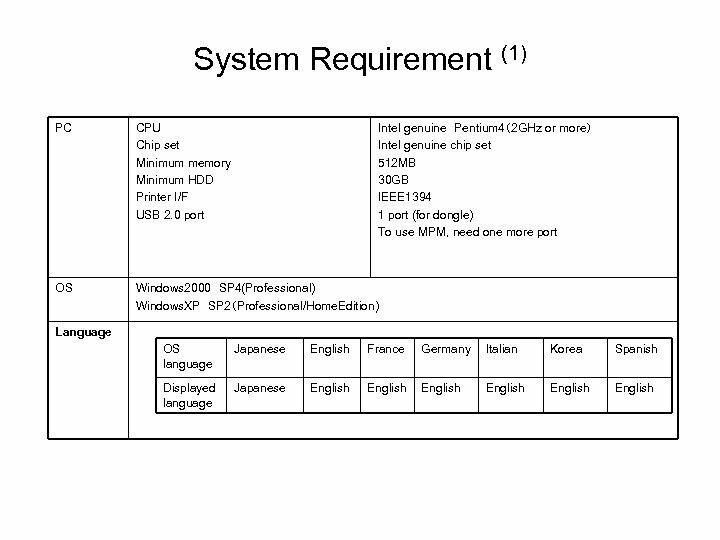 II standard functions. 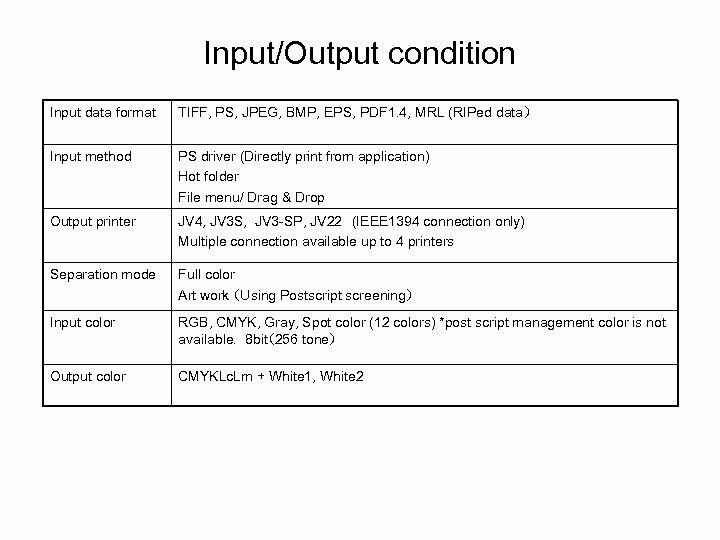 – Not supported TXLink color replacement using TIFF index color. 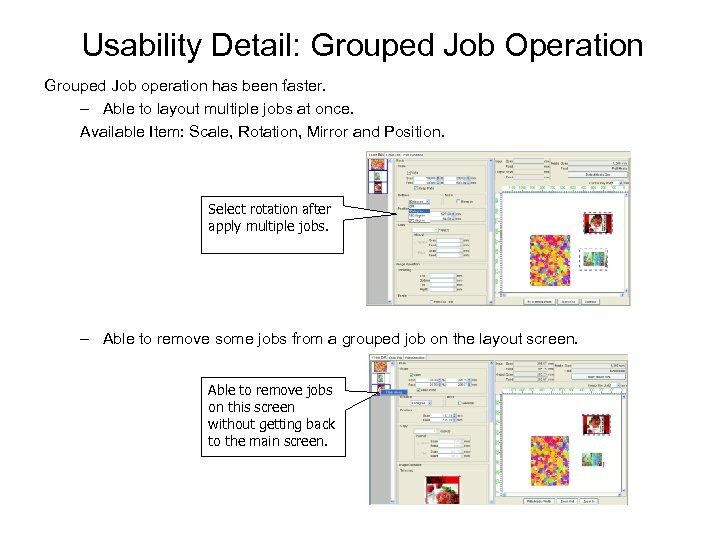 Usability Detail: Grouped Job Operation Grouped Job operation has been faster. 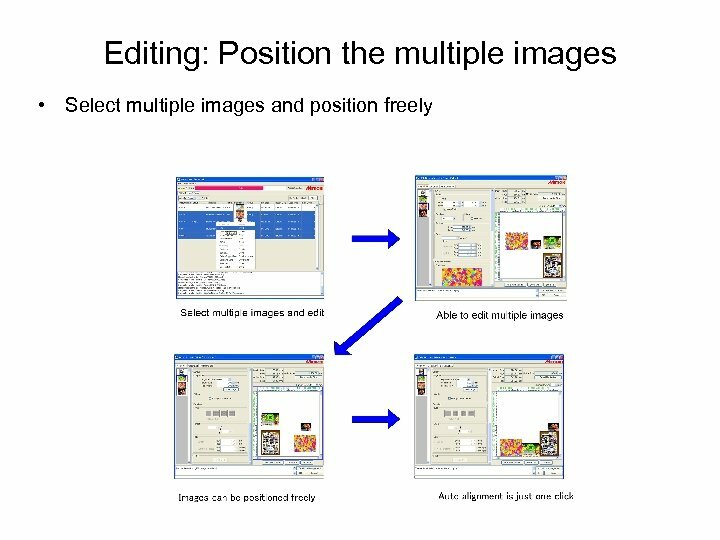 – Able to layout multiple jobs at once. Available Item: Scale, Rotation, Mirror and Position. Select rotation after apply multiple jobs. – Able to remove some jobs from a grouped job on the layout screen. Able to remove jobs on this screen without getting back to the main screen. 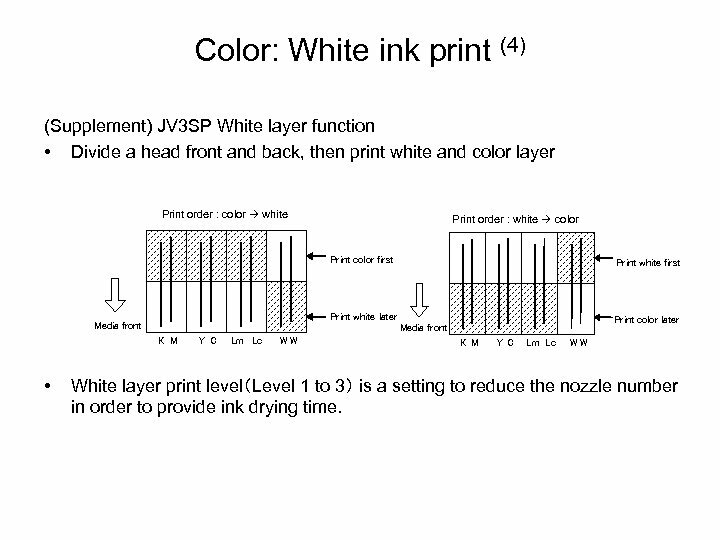 Color: White ink print (4) (Supplement) JV 3 SP White layer function • Divide a head front and back, then print white and color layer Print order : color white Print order : white color Print color first Print white later Media front Print color later Media front K M • Print white first Y C Lm Lc WW K M Y C Lm Lc WW White layer print level（Level 1 to 3） is a setting to reduce the nozzle number in order to provide ink drying time. 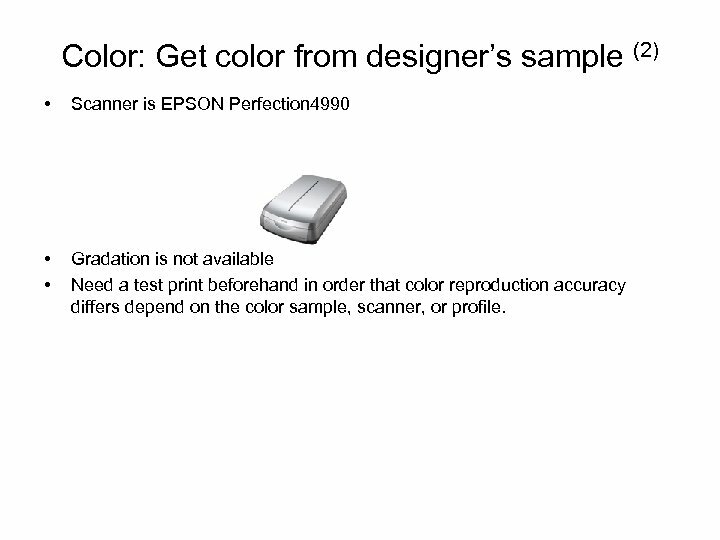 Color: Get color from designer’s sample (2) • Scanner is EPSON Perfection 4990 • • Gradation is not available Need a test print beforehand in order that color reproduction accuracy differs depend on the color sample, scanner, or profile. 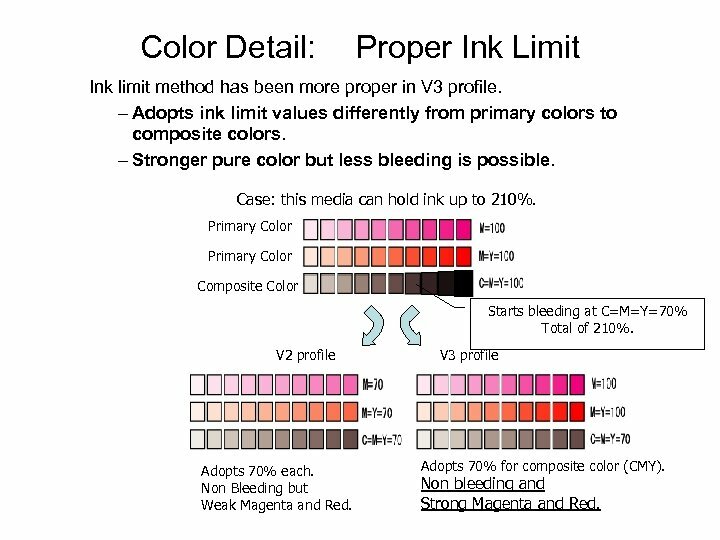 Color Detail: Proper Ink Limit Ink limit method has been more proper in V 3 profile. 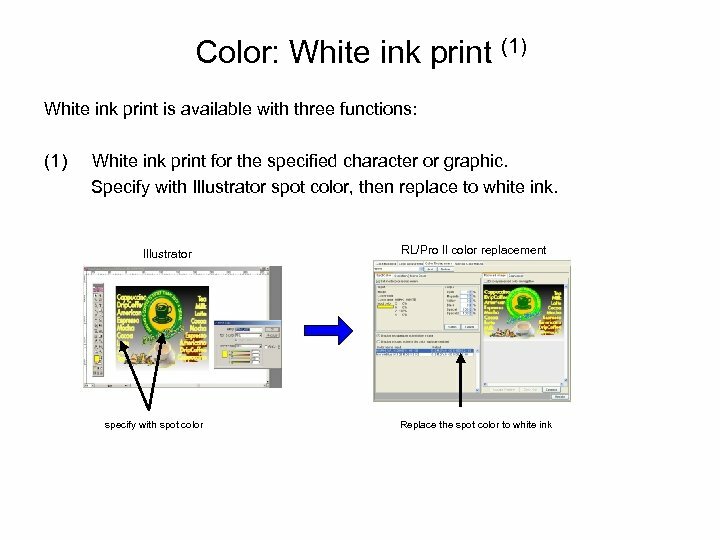 – Adopts ink limit values differently from primary colors to composite colors. – Stronger pure color but less bleeding is possible. 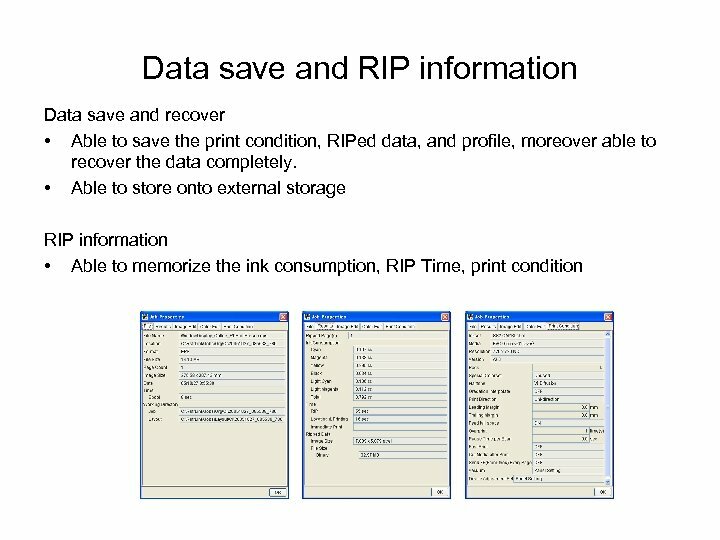 Case: this media can hold ink up to 210%. Primary Color Composite Color Starts bleeding at C=M=Y=70% Total of 210%. V 2 profile Adopts 70% each. Non Bleeding but Weak Magenta and Red. 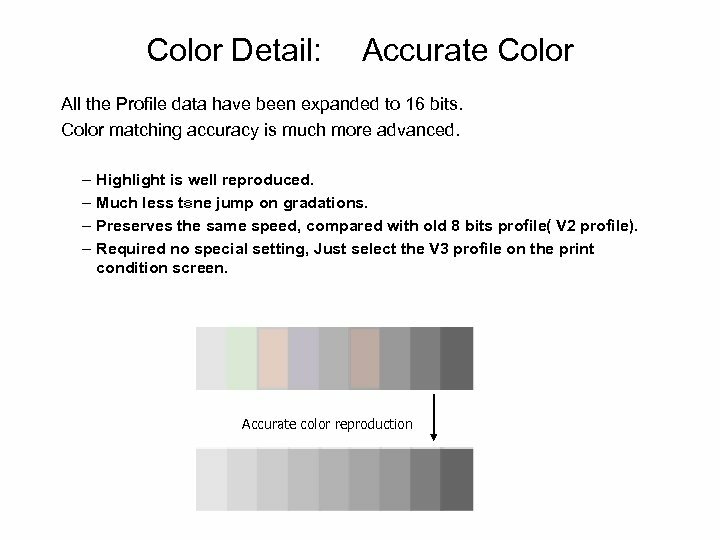 V 3 profile Adopts 70% for composite color (CMY). Non bleeding and Strong Magenta and Red. 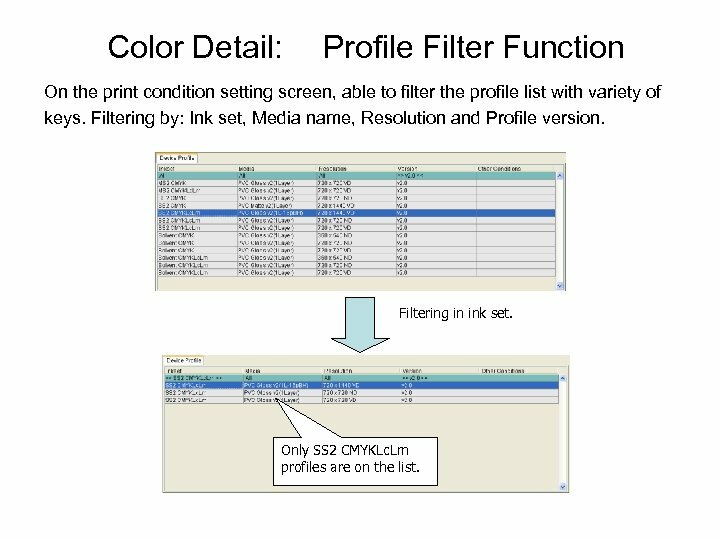 Color Detail: Profile Filter Function On the print condition setting screen, able to filter the profile list with variety of keys. 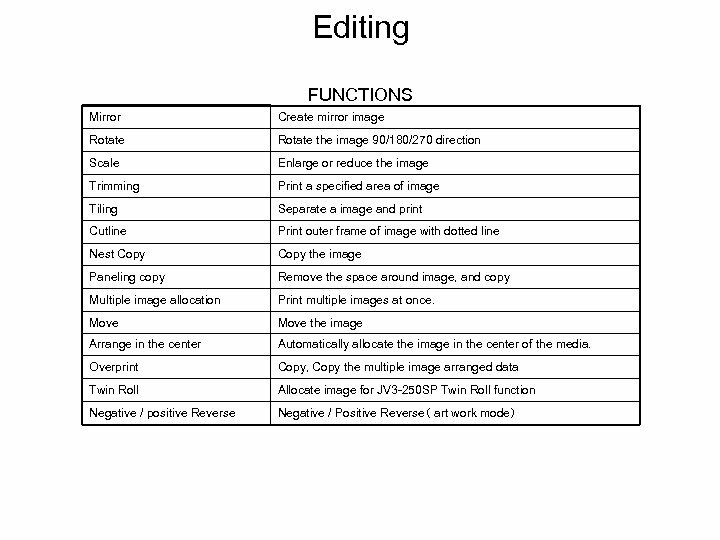 Filtering by: Ink set, Media name, Resolution and Profile version. 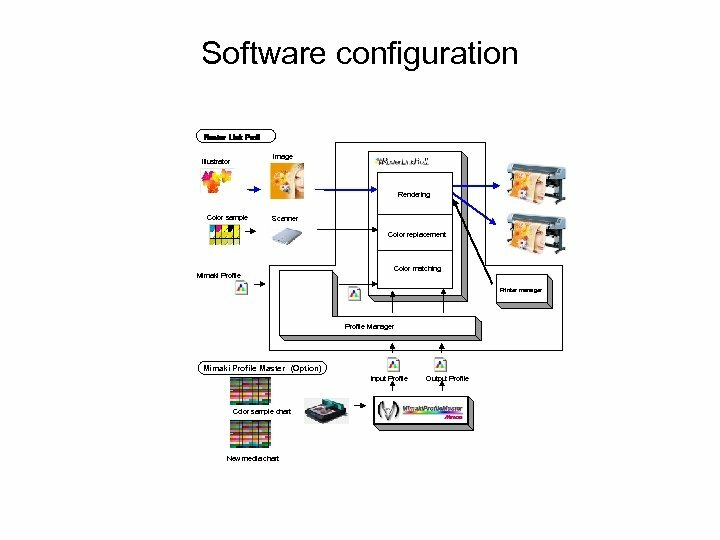 Filtering in ink set. Only SS 2 CMYKLc. Lm profiles are on the list. Color Detail: Enhanced Color Replacement function has been more functional. 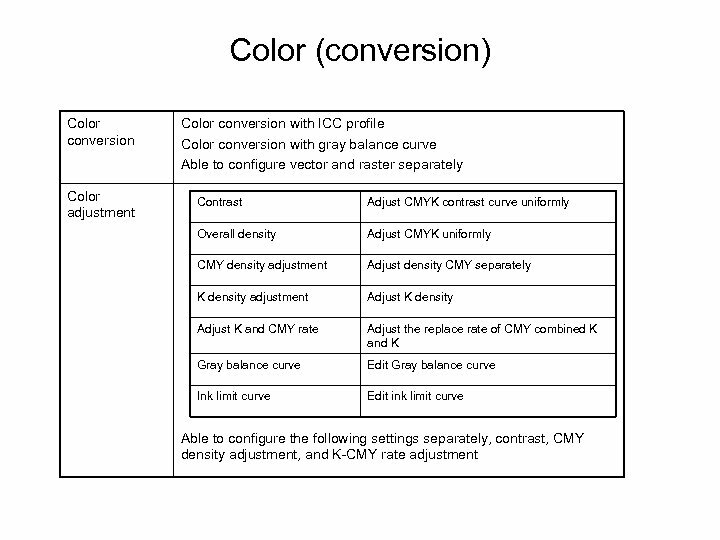 – Input color can be CMYK as well as spot color. 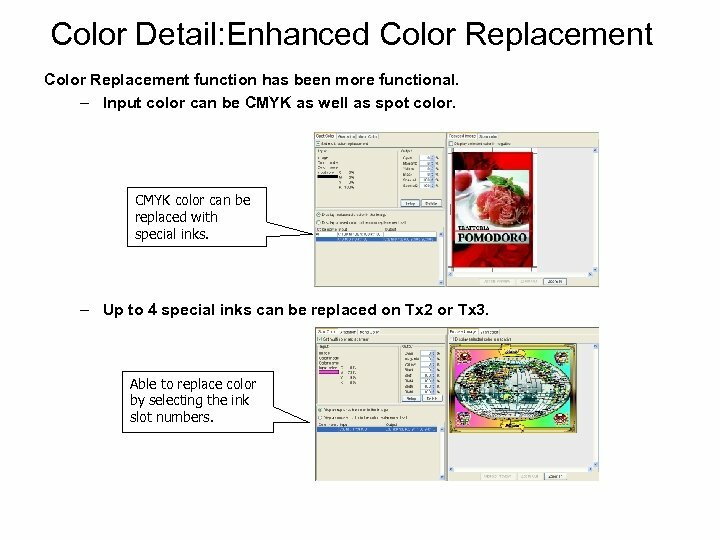 CMYK color can be replaced with special inks. 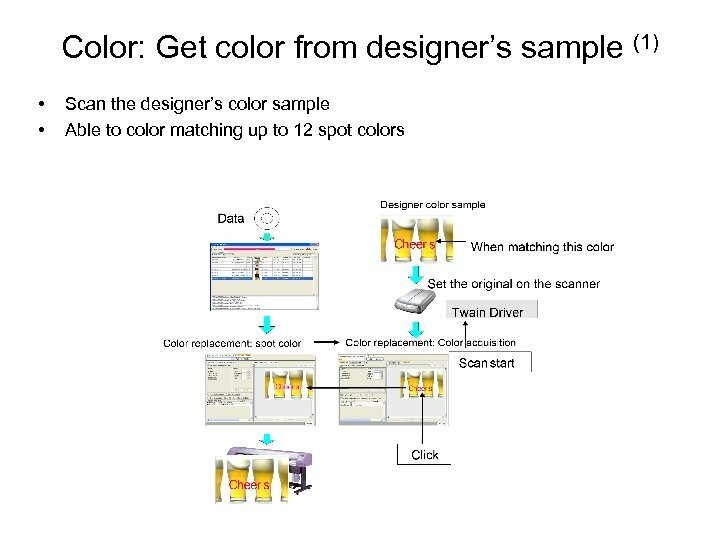 – Up to 4 special inks can be replaced on Tx 2 or Tx 3. 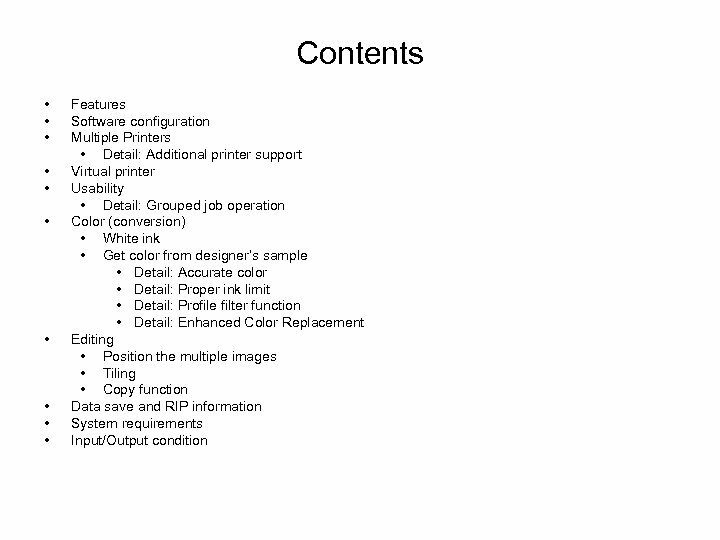 Able to replace color by selecting the ink slot numbers. 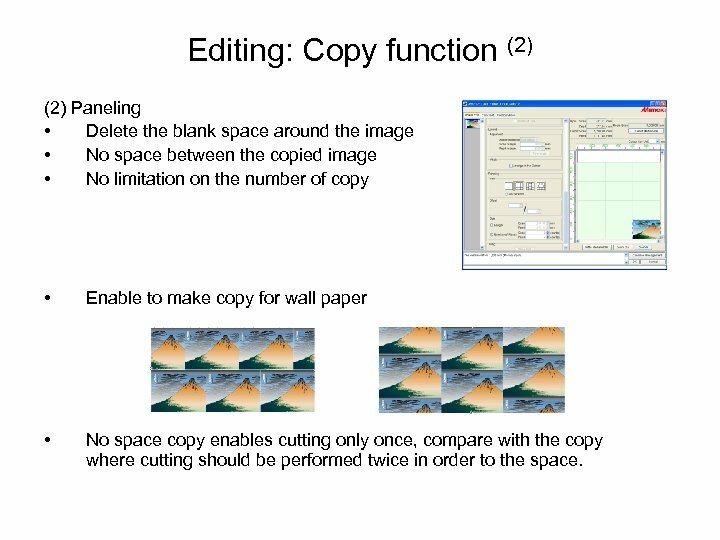 Editing: Copy function (2) Paneling • Delete the blank space around the image • No space between the copied image • No limitation on the number of copy • Enable to make copy for wall paper • No space copy enables cutting only once, compare with the copy where cutting should be performed twice in order to the space.